You learned and used Ohm's law! Adafruit offers a fun and exciting "badges" of achievement for electronics, science and engineering. We believe everyone should be able to be rewarded for learning a useful skill, a badge is just one of the many ways to show and share. This is the "I learned Ohm's law" badge for use with educators, classrooms, workshops, Maker Faires, TechShops, Hackerspaces, Makerspaces and around the world to reward beginners on their skill building journey! 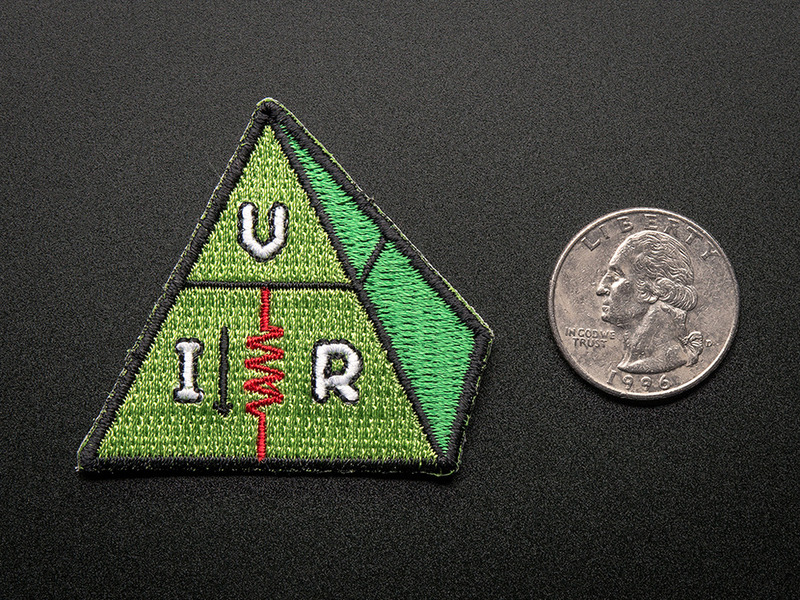 This beautiful badge is made in the USA and has subtle details like metallic thread.